Believe it or not, there are places in Paris so outlandish that they barely seem to belong to the same city map as the Sacré Coeur cathedral, the Eiffel tower or the Arc of Triumph. These “villas”, “squares” and “cités” – code names under which those pretty little retreats usually go by – paint an entirely different portrait of the capital. 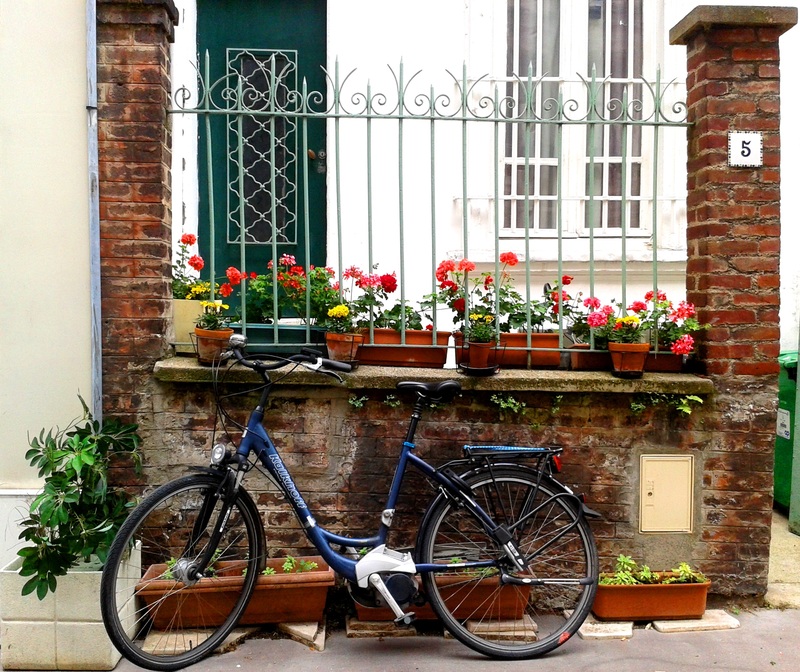 With their cobblestone streets, ivy-covered houses and wisteria lanes, they have this air of heavenly harmony which sets them apart from their fellow city streets and wraps up their world like a pretty floral ribbon. 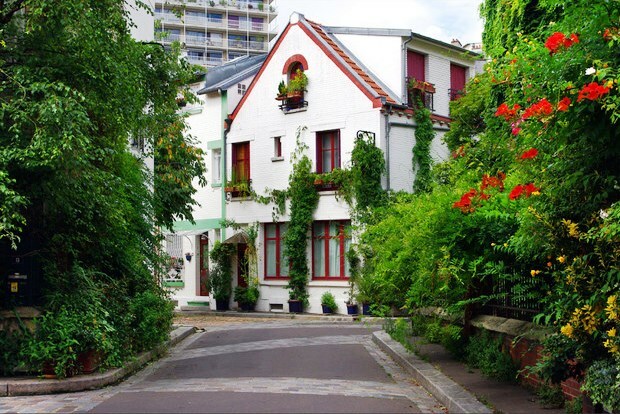 Calm, discreet and luxurious, Villa Léandre was built in 1926 on the site of a former Montmartre mill. 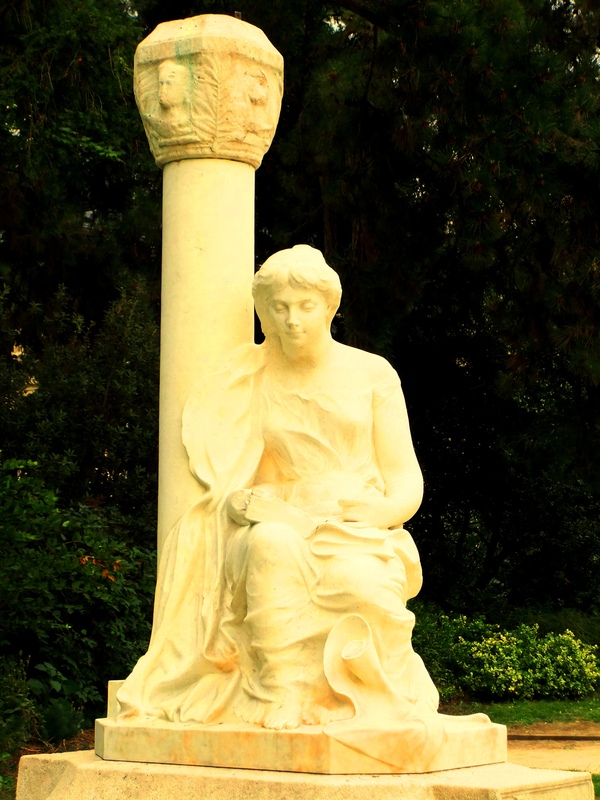 Known as Villa Junot until 1936 and renamed after Charles Léandre (1862-1936, one of the major painters, lithographers and caricaturists of his time, also publisher of the humoristic magazine ’Le Rire’), Villa Léandre, a temple of tranquility, seems to go beyond the Butte Montmartre, Paris or the framework of time. 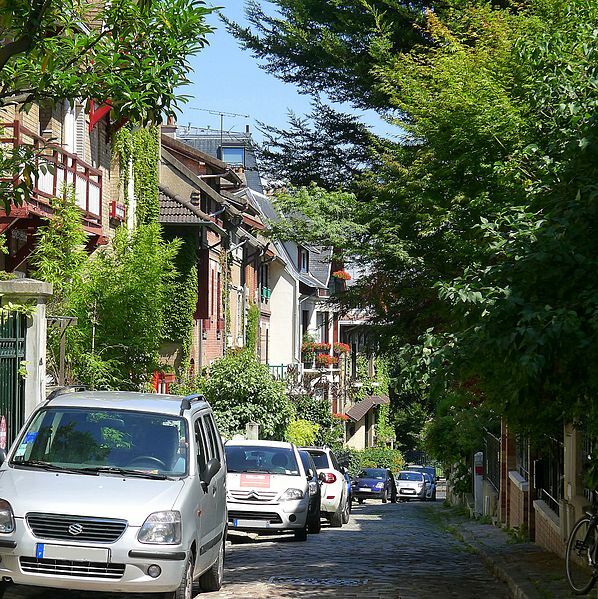 With its paved streets and small houses built in the Anglo-Saxon style – with traditional tiny gardens and front steps – today this is one of the quietest and most expensive areas in this quarter. As you linger in the street a bit longer, you could really get the feeling of being in a typical British village. 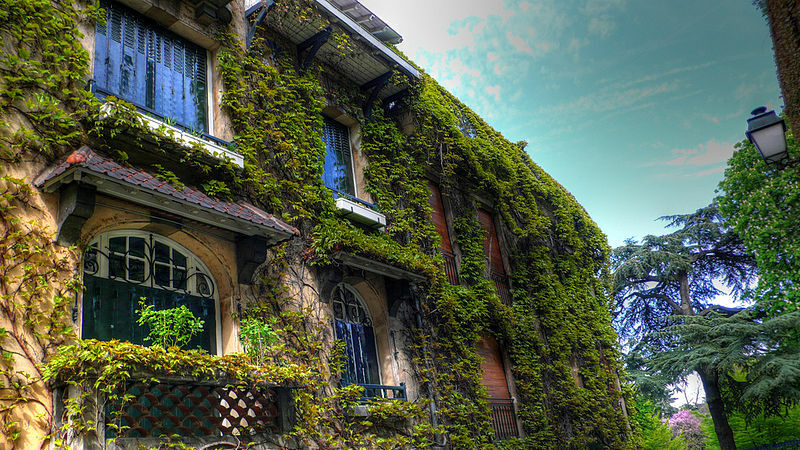 Some say that visiting Villa Léandre is the fastest way to get from Paris to London. The proof: the house located at number 10. In addition to its “bow-windows”, which lend it a very London-like look, right above the bell, there’s a small inscription saying: “Downing Street, City of Westminster”. A funny coincidence isn’t it, as 10 Downing Street, London is the address of the residence of Britain’s very own Primer Minister! Used for an agglomeration of buildings forming a historic or architectural unity, the name “cité” is usually given to a group of houses creating an uniform whole consolidated by a common purpose. 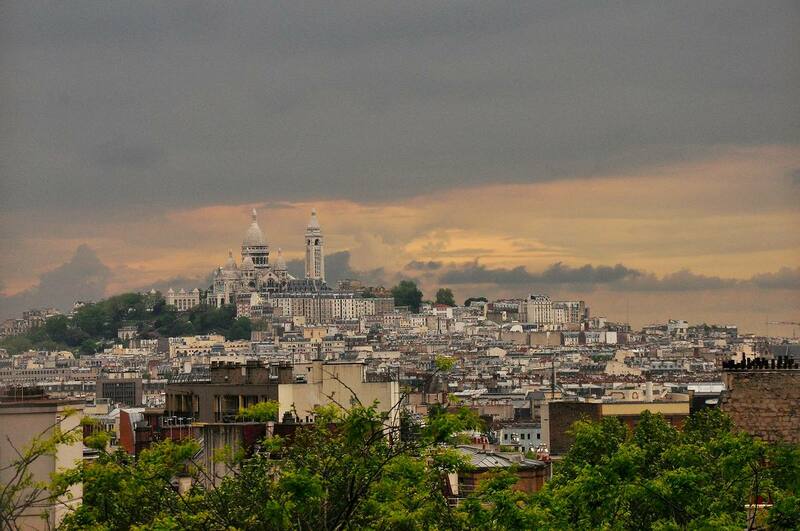 Located in the 13th, just behind the Parc Montsouris, there lies a “city” like no other. 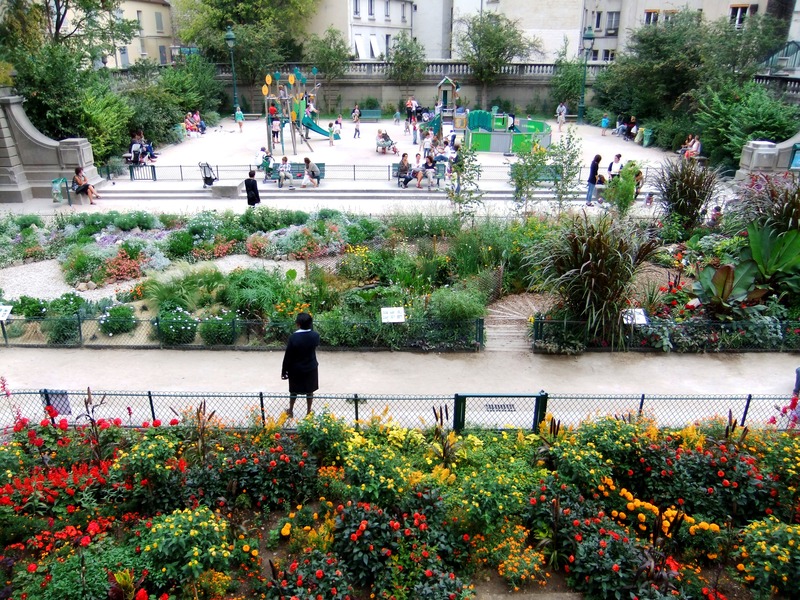 The City of Flowers (Cité Florale). 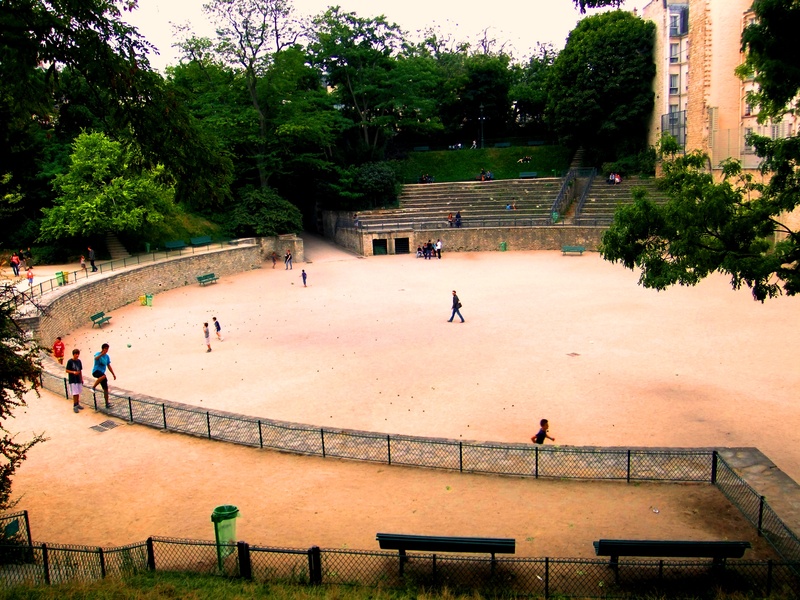 Built in 1928, this former field was regularly flooded by the Bièvre river – a particularity which prevented the area from being heavily urbanized with apartment blocks. The district was therefore fully populated with small individual houses each dotted with its own flower-decorated garden. 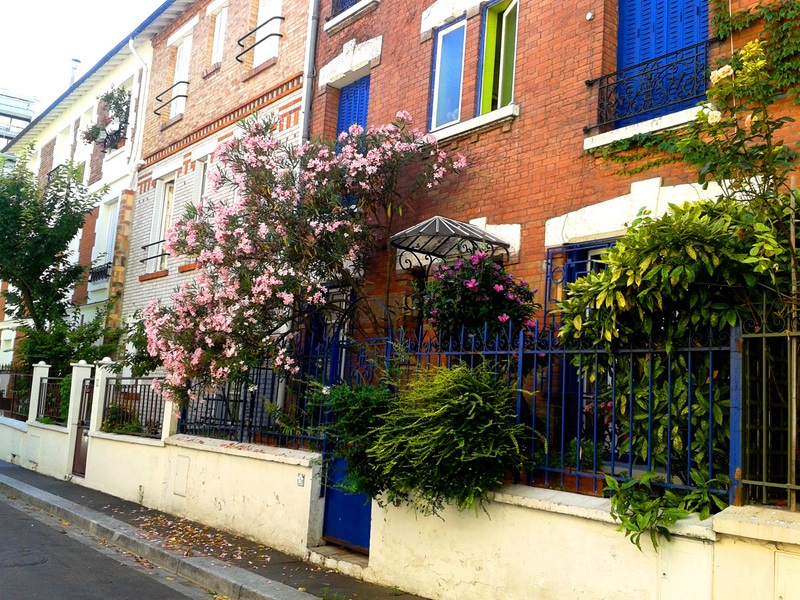 Besides the unusual and bucolic appearance of the area which sets it apart from its surroundings of modern buildings, what really makes this “cité” unique are its streets named after flowers. 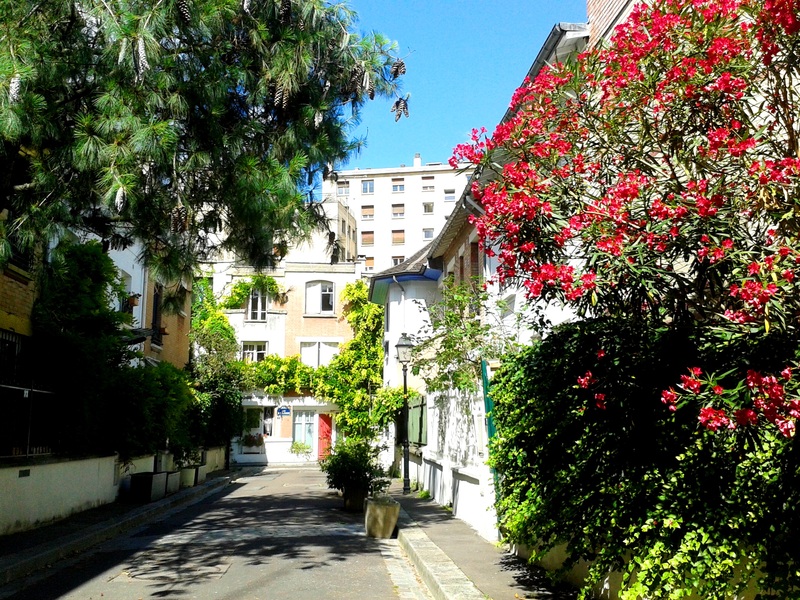 So if you are lucky enough to settle in Paris’ City of Flowers, you could choose your street’s scent between Wisteria, Iris, Orchid, Morning Glory, Bindweed or Mimosa. 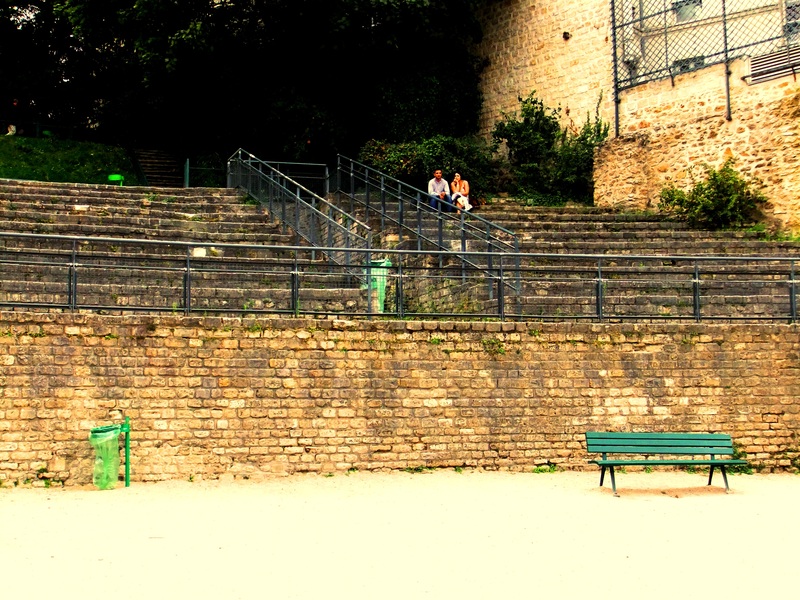 Paris’ most famous “butte” (hill) is undoubtedly Montmartre, but it certainly isn’t the only one worth exploring. 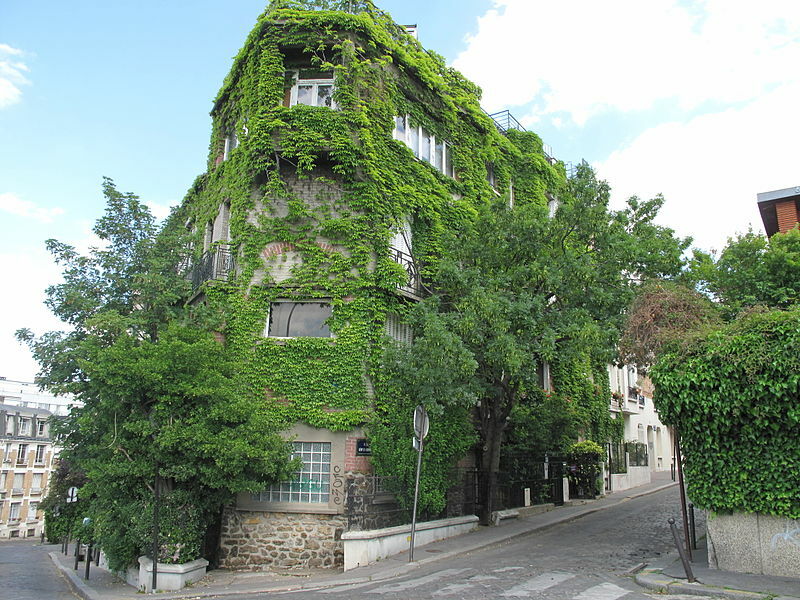 Hidden in the 19th district, in a triangle locked by the streets Manin, Mathurin Moreau and Simon Bolivar, the most secret of Parisian hills, the Butte Bergeyre, proudly rises above its neighboring streets just behind the park Butte Chaumont. Once you climb the stairs of this ex-pasture ground turned modern-day “village in the city”, your efforts will be rewarded. 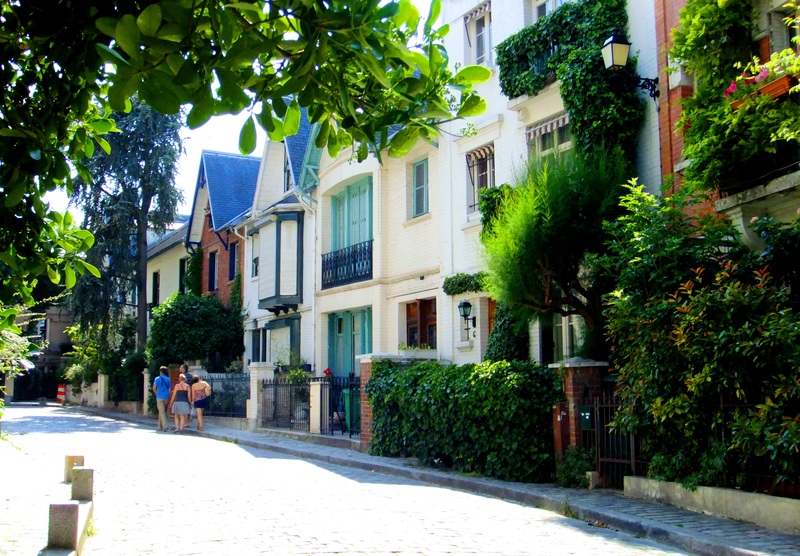 The hill’s maze-like streets, lined with pretty houses covered in ivy, a vineyard and a magnificent view of Montmartre and the Sacré Coeur will be waiting for you up there. 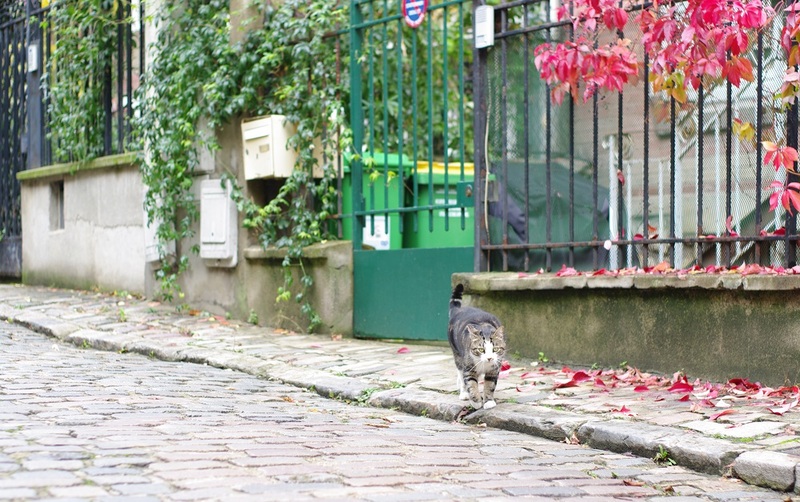 Perfect for a Sunday stroll, this village of about 1200 inhabitants populated largely by architects, filmmakers designers and alley cats boasts its own “public garden” open on Wednesdays and Sundays which invites both residents and passing strollers to pick their own fruit, veggies and herbs free of charge but with moderation. 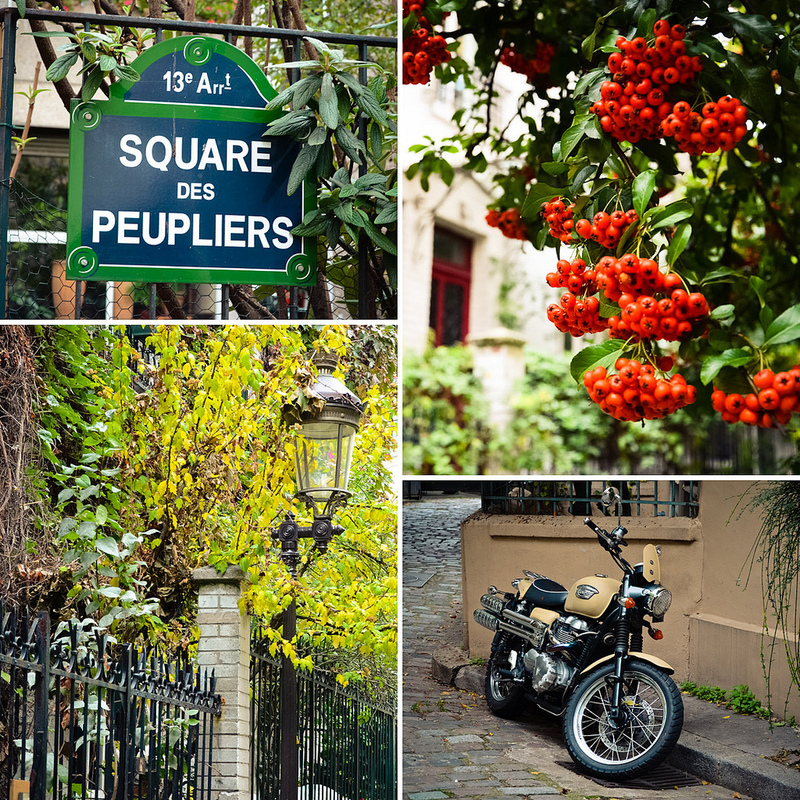 A little courtyard circled by houses, the appellation “square” hides some fascinating architectural gems in the city of Paris. One of the prettiest, the Square de Montsouris, is just a magical place to be as it instantly swirls you into a landscape of marvelous otherworldliness. Green, paved and sloping, this adorable path flanked by beautiful Art Nouveau and Art Deco houses with baroque balconies, stained glass window medallions and mosaicx freezes, has been chosen by many artists who picked its peacefully provincial charm to set up their studios. Created in the 1920 to 1930 as a housing estate for people with low income, the square was far from being an expensive and sought-after location back then. 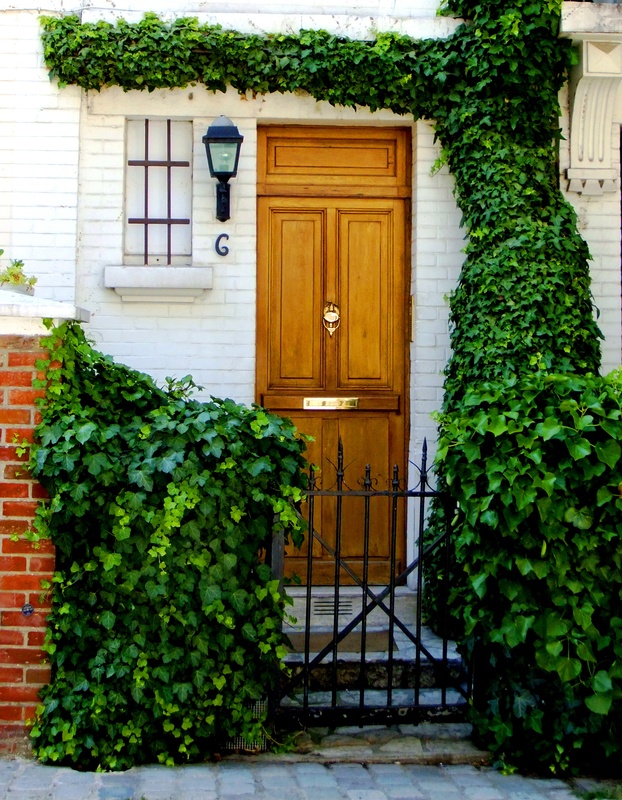 Its streets composed by detached houses are relatively rare in Paris and what distinguishes this picturesque alley even more are the various styles (artist’s studio, classical, modern or exotic construction) and diverse architectural elements (stone, brick and stucco facades) which provide a wide visual variety and appeal to this exceptional street. 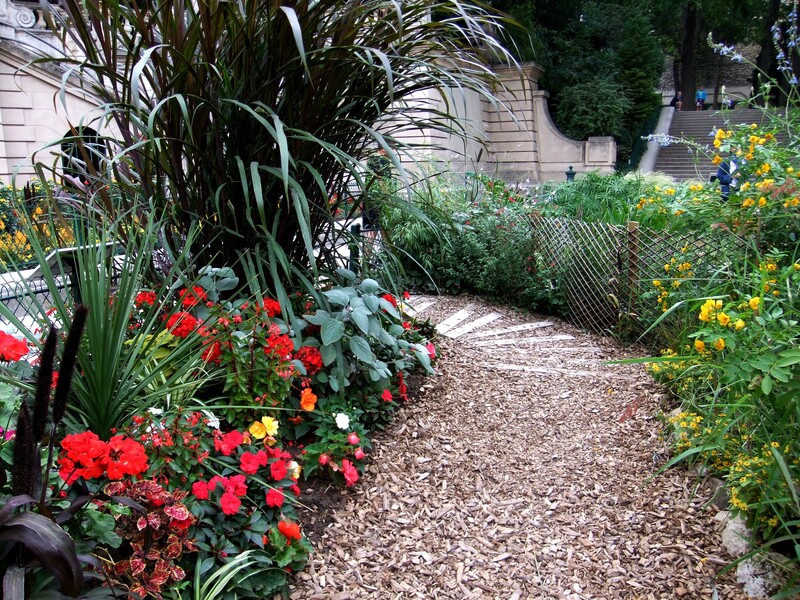 Square Montsouris – even with the parked cars, it’s still pretty! Another pretty and unusual triangle-shaped square located near the Butte aux Cailles, the private Square des Peupliers, is a reminder of the poplar trees which once grew alongside the Bièvre, a river which used to flow through the neighborhood until the early 20th century when it was covered to now run into the sewers of Paris. Flanked by small houses each embellished by their own tiny garden, this cobblestoned heaven is especially beautiful in the summer, with its flowers and trees in blossom. 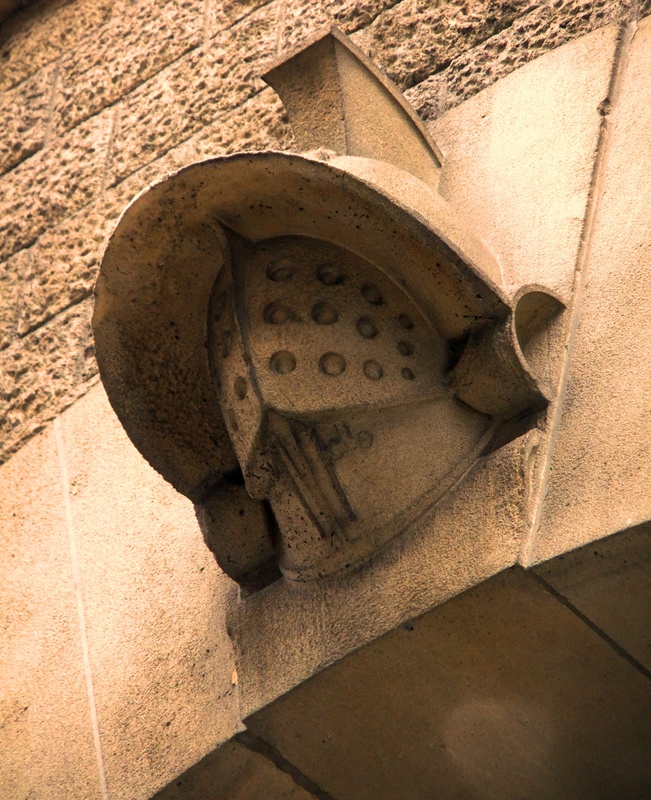 Paris is so rich in history we are sometimes likely to forget that beyond the severity of Haussmannian buildings, the lavishness of Renaissance palaces and the grimness of Gothic cathedrals sleeps another Paris – lesser known and frequently overlooked. For those willing to open the door to this mystery closet, Les Arènes de Lutèce are the perfect occasion! Join me in this archeological stroll and we’ll do some digging into the city’s Roman heritage. 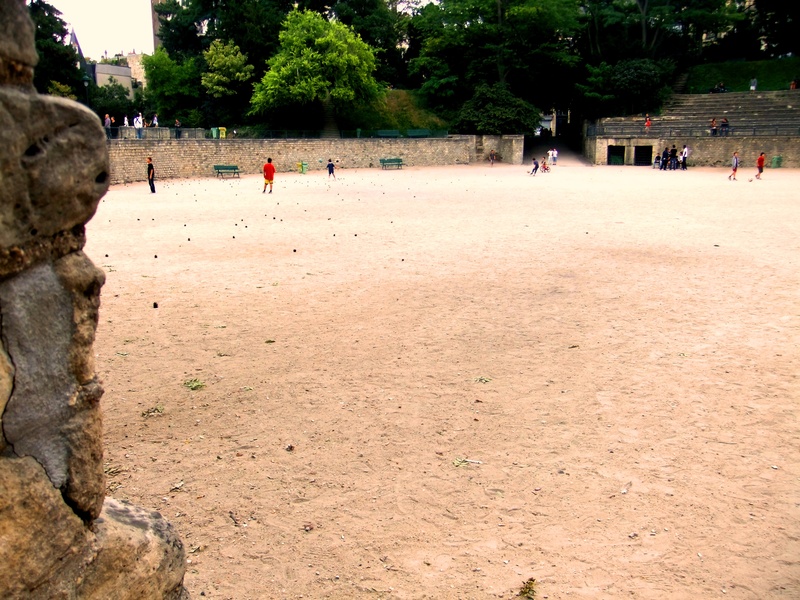 Beautifully hidden in the 5th arrondisement, Les Arènes (or the Lutetia Arenas, as they are alternatively called) are one of the most important and rare remnants of the Gallo-Roman era in Paris. Nowadays, they are also a really agreeable place to take a Roman break from the traffic of the 21st century busy streets. 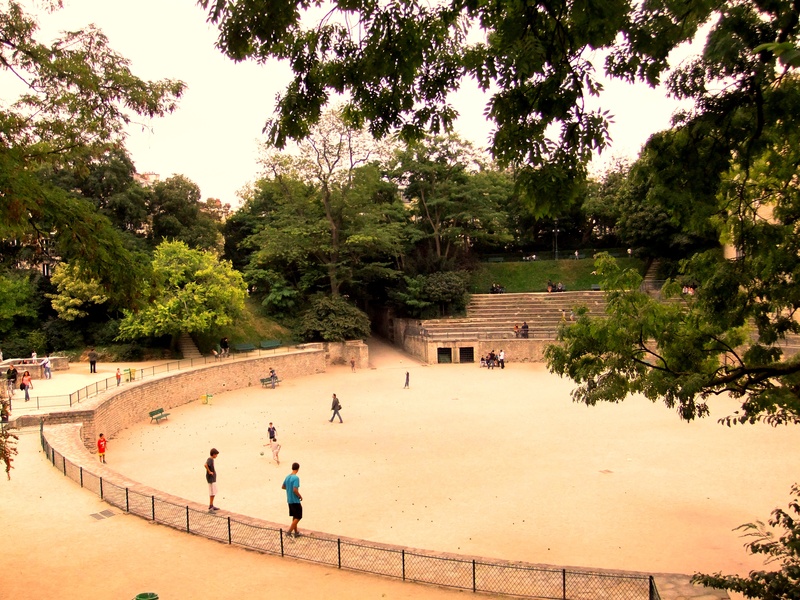 Built in the 1st to 2nd century A.D. on the slopes of the Sainte-Geneviève mountain, just outside the town of Lutèce (today’s Paris), the Arenas were used as a theater, sporting arena and circus. The amphitheater – reportedly one of the largest of its kind ever built by the Romans – seated up to 15 000 spectators. From its slant, the arenas benefitted from an outstanding view of the Seine and Bièvre rivers, the latter of which is today underground. The place endured as an amphitheater for a few centuries, but was ruined around the end of the 3rd century and ultimately became a cemetery. By the year 1210, it was completely filled in. Centuries later, despite the fact that the surrounding quarter had kept the name Les Arènes, no one really knew where the exact whereabouts of the ancient arenas had been. 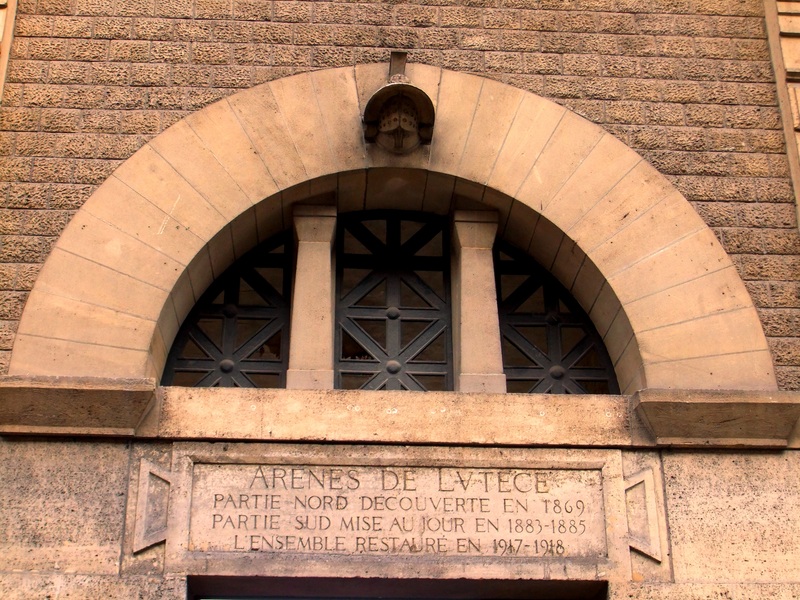 Curiously, the site was rediscovered in the 1860s during the building of a tramway depot on Rue Monge. Writer Victor Hugo and a couple of other intellectuals embarked on a campaign to save what was left of this archaeological treasure. If you dare to go down to the center of the arenas today, you will still be able to see a number of remnants of the once imposing amphitheater – some parts of the stage, the barred animal cages and the niches under the bleachers are still there. 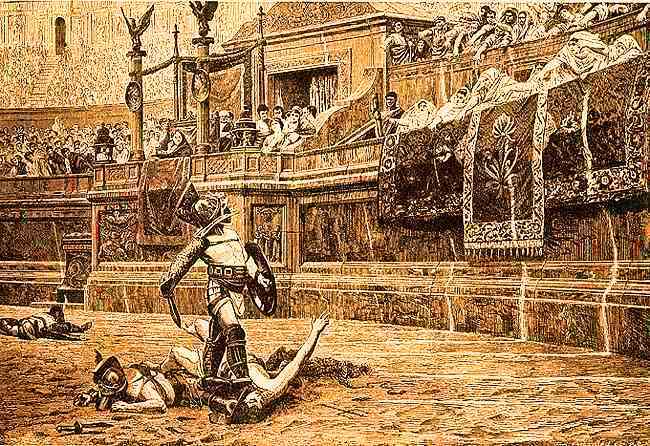 Nowadays, the Arenas are no longer a site for gory gladiator matches. 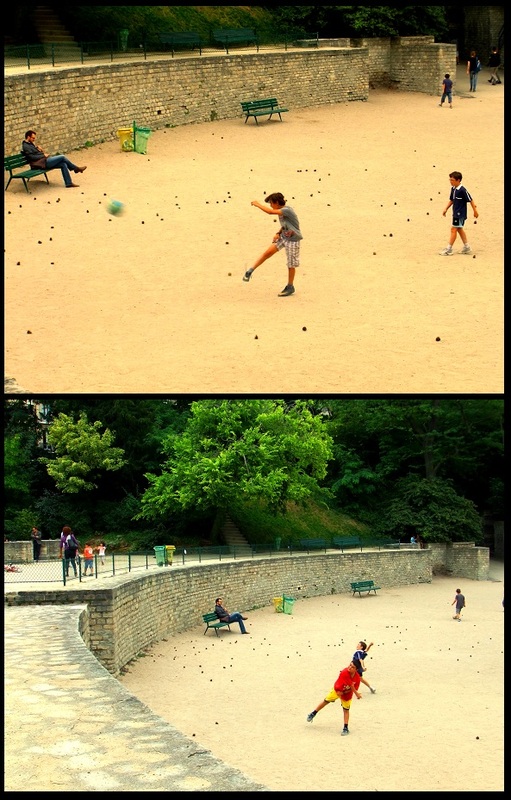 You are more likely to encounter students enjoying an outdoor break, couples having a picnic, kids playing ball or elderly men engaged in the ever so popular French game of pétanque. 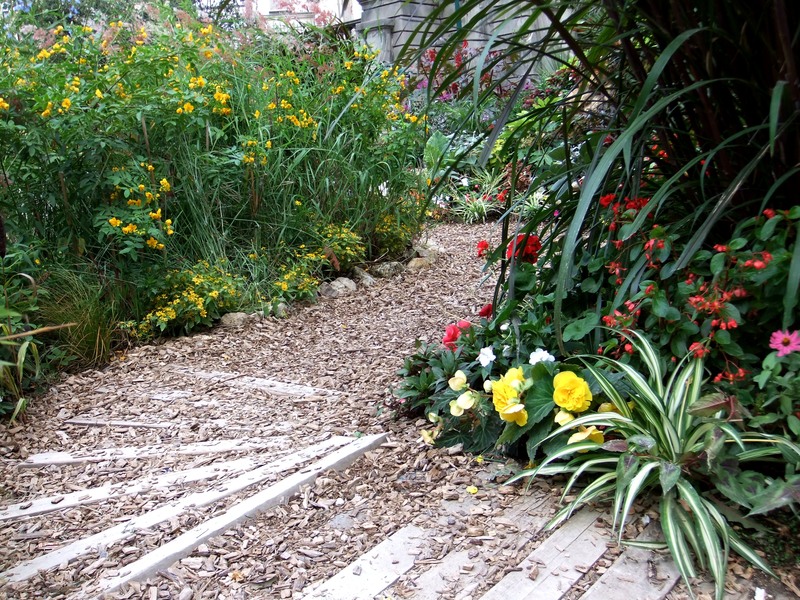 The amphitheater is backed by an enjoyable little park (Square Capitan), where you can sit with a book or – even better – explore a handful of the biosphere inside the mini “garden of the world”. This small green square displays different natural landscapes (the forest, the jungle, the marsh, the desert, the pond) and the flowers typically flourishing in those natural habitats. So when you get an adequate amount of History and yellow Roman sands, you can opt for this rewarding and green change of scenery instead. Go where the bananas live! 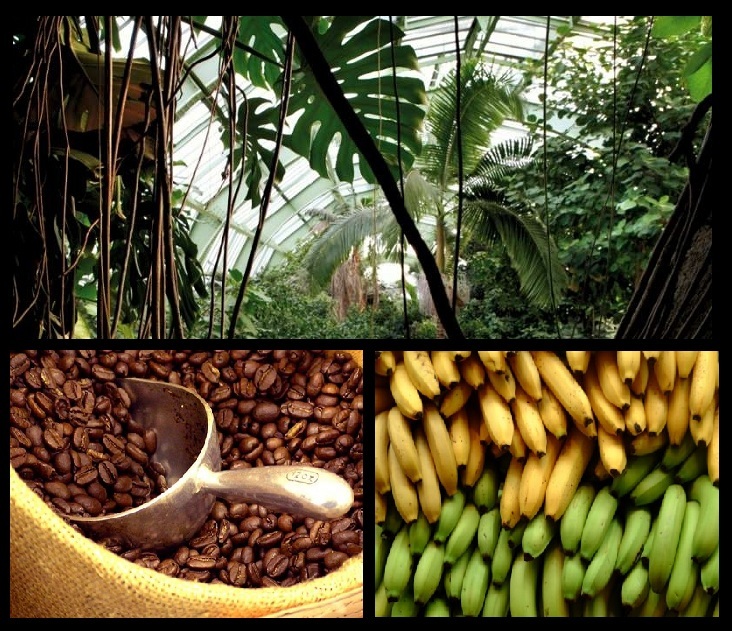 Observe a banana “in the making” – that’s just one of the fascinating journeys you can take in the Greenhouses of Jardin des Plantes (Les Grandes Serres du Jardin des Plantes). If you’re lucky enough, you’ll see the 10m banana trees showing off their lovely rosy-coloured banana blossom. You can also feel the bark of the coffee tree or hear the inspiring story of the cacao bean. Be all ears for the Mexican cocoa chicken recipe! 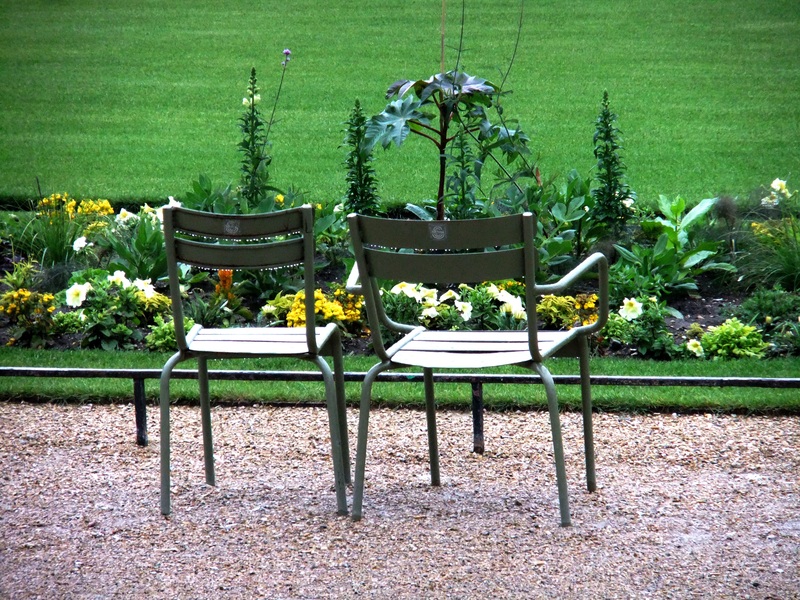 You see the necklaces of pearly raindrops on the back of the chairs, too?